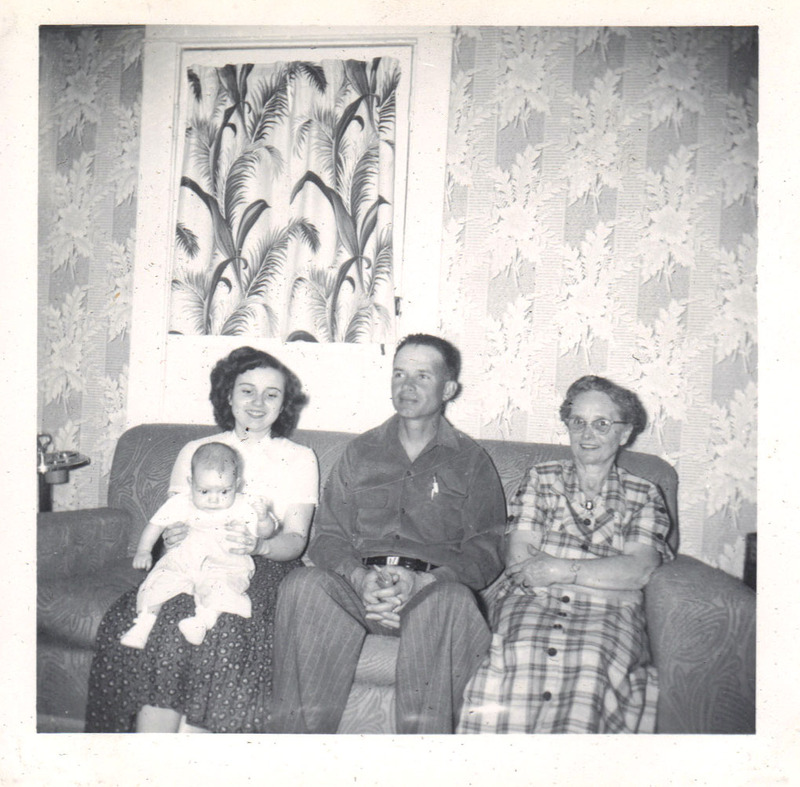 My mom and grandmother with Clifton and Minnie (Dudgeon) White. You can see the previous four generation photo with this group here. Thank you, Revis! I love these types of photos and I'm lucky that my mother's side took a lot! You are lucky indeed! Lots of families have no pictures at all! 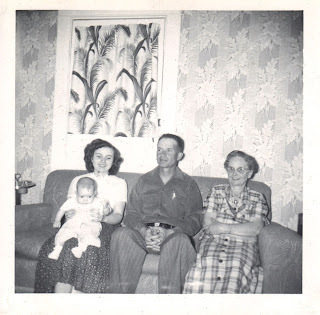 I always enjoy seeing multiple-generation family photos. You're fortunate to have several of these four generation pictures with some of the same family members. Did you notice Minnie was crossing her arms in both four generation photos? Queen Bee, good eyes! Now that I think about it she is crossing her arms in most of the photos I have of her. Very interesting! This is a great picture. Don't you love the wallpaper? My photos from the same era are almost identical - right down to that wallpaper! Rita, too funny, that is great wallpaper!